"Melissa" by the Allman Brothers Band, released in 1972 is one of my favorite songs. Gregg Allman, who wrote the song in the late 60s, died on May 27, 2017. He was 69 years old. 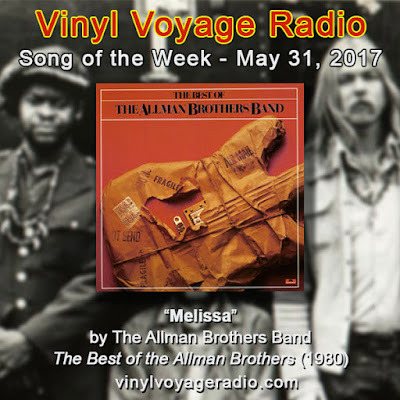 New episodes of the Vinyl Voyage Song of the Week can be heard every Wednesday, at 10 am and 10 pm (Central time/ -5 GMT) and at various other times during the week. Take a listen to the song on vinyl below. I am not the person who likes old and vintage music.Since you have suggested it,It must be good.I will definitely listen to this song!